From the .204 Ruger to the .577 Tyrannosaur, The Target Book contains 212 targets for 95 cartridges and different bullet weights. Each target graphically shows the point of impact for a 6-inch diameter vital zone. Virtual images are shown for long-range shooting. 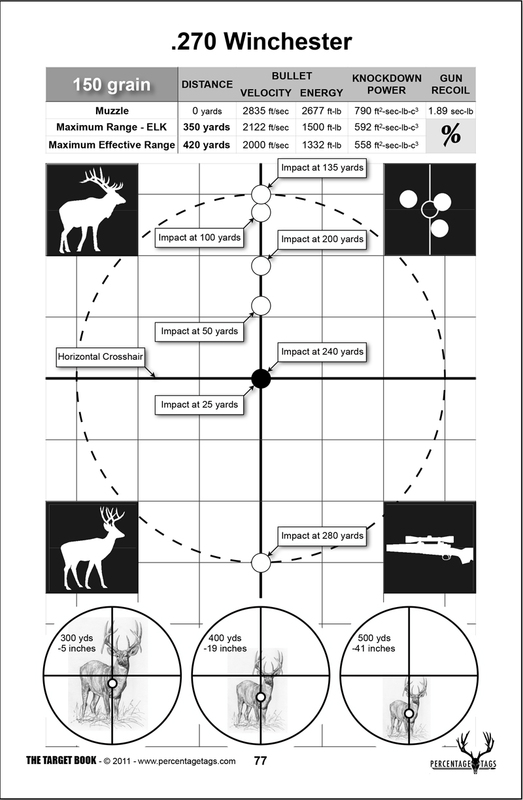 The Maximum Effective Range for shooting at certain big game animals is revealed for specific cartridges and bullet weights. Book: Soft Cover, 8½” x 13”, 248 Pages.